Aik Wan Kok at Tiya PLC represents companies, families, individuals and foreign nationals in the areas of United States Immigration & Nationality Law including, but are not limiting to, green cards (employment- and family-based), work visas, waivers, U.S. citizenship/naturalization, and other immigration matters. With professional immigration law experience since the 1990s and with excellent results, we are your best source of professional U.S. immigration law services. We evaluate on the best immigration strategies to maximize the chances of success for each case and have done so very successfully. We have successfully represented U.S. and multi-national companies, defense contracting companies and other types of entities, families, and individuals. We represent immigration clients located in the United States and abroad. We represent diverse green card cases such as extraordinary ability, national interest waivers, I-140 petition for alien worker, PERM permanent labor certification, I-485 adjustment of status application. We also represent wide-ranging work visa cases such as H-1B specialty occupations and E-3, H-3 trainees, H-2B seasonal workers, E treaty investors/traders, L-1A executive or manager intra-company transferees from overseas, L-1B specialized knowledge professional intra-company transferee from overseas, blanket L, TN NAFTA professionals, E treaty investors and E treaty traders, Ps, G, I, A, O extraordinary ability, Q cultural exchange. Among other immigration matters, we represent cases such as B-1 business visitors, B-2 tourists, F-1 students, J exchange visitors, K-1, K-2, K-3, U visa for victims of certain crime, T visa for victims of trafficking, VAWA, waivers for green card and temporary visas, various extreme hardship waivers, family green card cases such as I-130 petition for alien relative, consular processing for green card and temporary visas, I-751 removal of conditional residence, work permit, travel document and advance parole for travels from U.S. to other countries. We have handled cases directly with many U.S. government agencies such as the U.S. Citizenship and Immigration Services ("USCIS"), U.S. Department of States, U.S. Consulates abroad, U.S. Immigration and Customs Enforcement ("ICE"), and Immigration Court. We speak some Chinese (Mandarin and Cantonese), and read Bahasa. 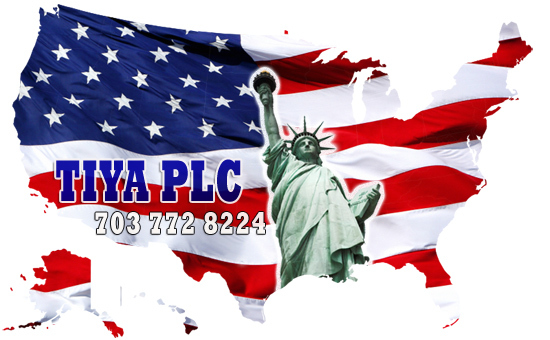 Tiya PLC also has various other language capabilities upon request. Aik Wan is an attorney at law licensed by the State Bar of California, and practice U.S. Immigration & Nationality Law nationwide in the United States and abroad. The California Bar Exam is known to be one of the hardest bar exams in the U.S. Aik Wan is a member of the American Immigration Lawyers Association (AILA). Aik Wan is also a non-practicing Barrister at Law in England, and a member of Lincoln’s Inn in London, U.K. On various occasions, Aik Wan has also provided pro bono representation and other legal contribution in the United States, and legal aid centers abroad. Prior to practicing law at Tiya PLC and since late 1990s, Aik Wan was an immigration professional at top international law firms and prominent boutique immigration law firm in the United States of America. Being a former immigrant, immigration professional and immigration attorney, Aik Wan has experienced immigration law on personal and professional levels. Please visit our immigration eNews at http://immigrationresource.net and http://tiyalaw.blogspot.com .